If you have a venue you’d like to have activated with a window installation, event, or exhibition, we want to hear from you! Potential venues include spaces in the City of Toronto such as shops, galleries, studios, cafés, schools, and cinemas. A window installation runs the whole duration of Festival Week, and is visible to the public 24 hours a day from the outside of your venue. Depending on the space, the installation may also be viewable from inside your venue during regular business/gallery hours. After we receive your submission, we will work to pair you with an artist or designer. You will not be involved in the selection process, but you will receive information about the artist/designer, and see their online portfolio or get information about what they are proposing to show. At that time, you will have 1 week to review this material, and make your final decision. If you decide that the project is unsuitable, we will cancel your participation in this program. The 1 week review period occurs September 2018. As a host venue, you also agree to pay the registration fee as described below, and provide your venue free-of-charge to the artist or designer. The artist/designer is responsible for all costs of creating and mounting the creative project. Your venue will be mentioned (by name and address) where and when applicable in relation to the listing of the creative project you are hosting. Details are provided below. TO DO venue signage (e.g. window cling). All submissions are due Friday, June 22, 2018 by 11:59pm EST. All fees include a $25 early bird registration discount. All fees will be invoiced after the artist/designer is confirmed in September 2018. 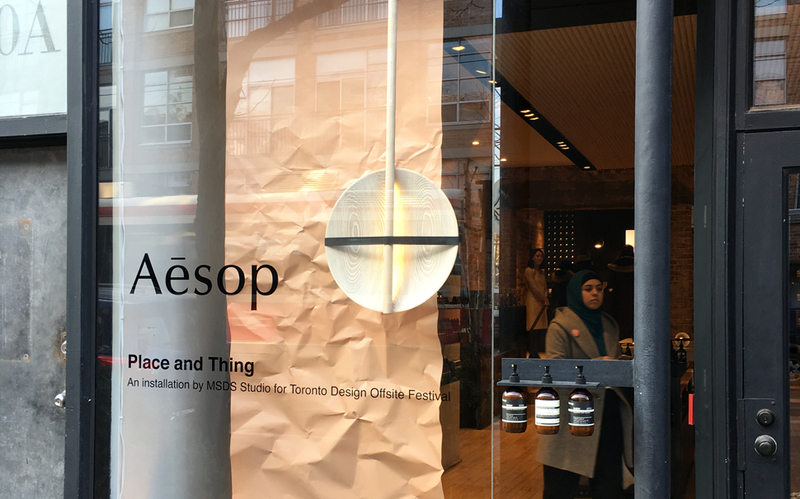 Please visit us online to see last year’s roster of events, exhibitions, and window installations: https://designto.org/2018-schedule/. Email any questions to Programs Coordinator Victoria Chin at [email protected] with this subject line: Host Venue Call + your name.